You're probably wondering why Fanboys Anonymous, a website dedicated to entertainment, technology, and geek culture, is featuring a device that is primarily sports related. The answer is simple. When we see something that has the awesome potential to change lives for the better, we like to pass on the good word! Disclaimer: Doesn't come with electronic Darth Vader sound effects! To those who know him, Bas Rutten is many things. The Ken and Frank Shamrock–era MMA legend, from Tillburg in the Netherlands, is a former three-time King of Pancrase world champion, UFC heavyweight champion, MMA coach, television personality, and film actor. He is known for Fuel TV's comical self-defense show Punk Payback, as Kevin James's coach in Here Comes The Boom, and as that guy who caused a spleen to explode on Fight Science. To look back on his career, one wouldn't imagine an unhealthy and heavily asthmatic young bully victim and Bas in the same room. In fact, back in the '70s, Bas Rutten was that kid, but upon sneaking into a viewing of Bruce Lee's Enter the Dragon, Bas became a fanatic of martial arts and trained his way to become the practical killing machine we know and love today (notably a karate and tae kwon do black belt, and a Muay Thai kickboxer). Bas kicking a dude in the head. Ever the creative and energetic personality, Bas has created the O2 Trainer to condition the lungs and promote better respiration and endurance during and after physical training. As a result, this product not only helps you to make the most of your cardiovascular workouts, it simply makes for better all-round breathing. 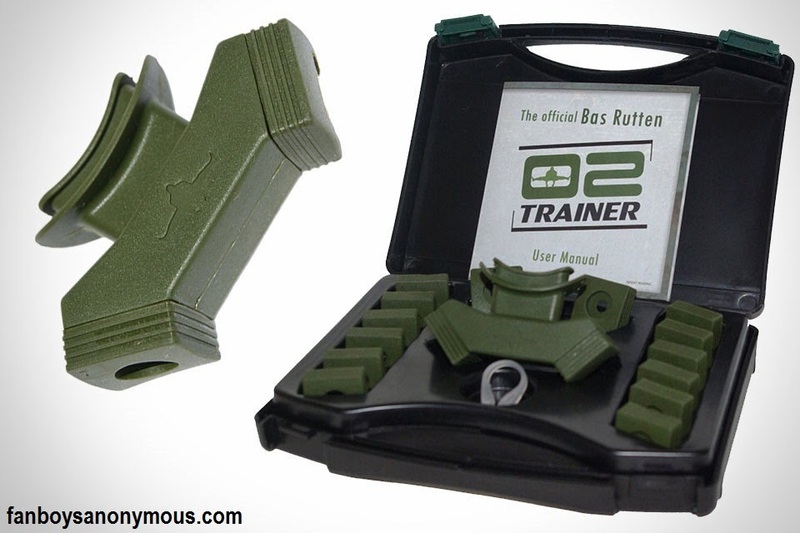 What's more is that testimonials have proved that the Bas Rutten O2 Trainer is already helping proactive people overcome their asthma and giving them the opportunity to live healthy lifestyles they could never have otherwise dreamed of. So if you're sitting indoors, browsing the Internet, watching movies, and reading comics on a sunny day by no fault of your own, you may consider visiting the official page and seeing if this is for you. I have a feeling that this is going to change a lot of lives. Victory dance? Sound off, Fanboys! For all the complex-sounding devices and drugs that come and go in the world of sports and online shopping, once in a while there comes something that just makes sense. Maybe spread the word, if you have an unhealthy friend or two, because it may be worth a read to them. Thanks for reading and feel free to comment below. You can also visit the official Facebook page here!